If there’s one thing that connects many recent controversies around male sexual misbehaviour, it’s that they’ve been fuelled, in good ways and bad, by the internet; so it’s probably karma that Google should, itself, have become the focus of the latest wave of discontent, as hundreds of the company’s employees walked out worldwide, including in Dublin, in protest, among other things, at the handling of sexual harassment. It follows the departure from Google of Andy Rubin, the so-called “father of Android”, the operating system used by billions of smartphones and tablets. He left the company in 2014 following reports that he’d had an “inappropriate relationship” with a woman working under him. Despite this, he was given a $90m pay off. 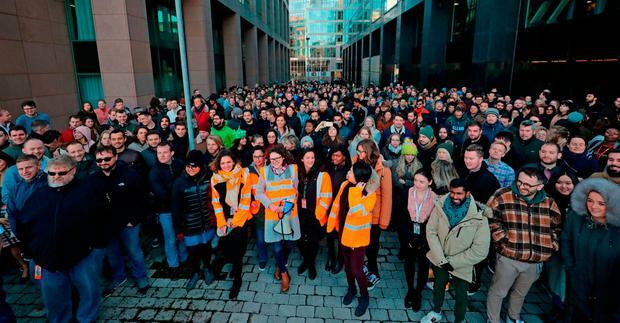 Last Thursday’s “Google Walkout For Real Change” was not just about women. Among the demands issued by the organisers are ones relating to “discrimination and systemic racism”. It was the sexual harassment aspect which garnered most attention, however. Many women who work for Google have spoken anonymously about a corporate culture which failed to protect them from predatory men and from bullying after they dared to complain. Often they, rather than their harassers, would be moved to different departments inside Google, further damaging their career progress. All of this is manifestly unfair. As such, organisers were explicit about the parallels with the #MeToo movement.